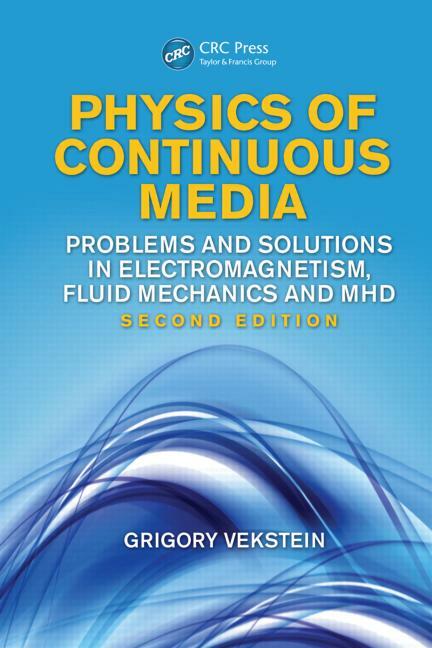 Based on the author’s many years of lectures and tutorials at Novosibirsk State University and the University of Manchester, Physics of Continuous Media: Problems and Solutions in Electromagnetism, Fluid Mechanics and MHD, Second Edition takes a problems-based approach to teaching continuous media. The book’s problems and detailed solutions make it an ideal companion text for advanced physics and engineering courses. Suitable for any core physics program, this revised and expanded edition includes a new chapter on magnetohydrodynamics as well as additional problems and more detailed solutions. Each chapter begins with a summary of the definitions and equations that are necessary to understand and tackle the problems that follow. The text also provides numerous references throughout, including Landau and Lifshitz’s famous course of theoretical physics and original journal publications. A Bit of Math: Vectors, Tensors, Fourier Transform, etc. This book presents an excellent and exemplary collection of up-to-date exercises and their solutions on continuous media, covering a wide range of topics from electro-, magnetohydro- and fluid dynamics, and from the theory of elasticity. The author is an international expert with many years of research and teaching experience in the field. Each chapter begins with a comprehensive summary of definitions and the mathematical description of the physical laws necessary to understand and solve the series of problems that follow. The problems and exercises are a gradual built up in each of the topics and they introduce the reader step by step into the principles of the subject. The solutions are well explained and detailed with additional readings when necessary. This exercise book is written in a true scholarly manner that allows the reader to understand the basic principles and physical laws of continuous media. This problem-solving book is highly recommended to graduate and postgraduate students, postdoctoral researchers or to scientists who want to refresh their knowledge or teach the subject at university level. Professor Vekstein’s book is a wonderful resource for both condensed-matter physics courses and self-study. The problems are chosen to illustrate physical phenomena without unnecessary complications. The solutions are very clear; they set the student on a sure path to solution, while still leaving some details to be worked out by the student. I think this is a pedagogically efficient format. 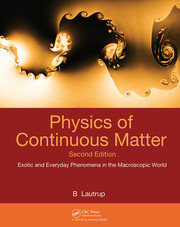 I recommend this book to every student of continuous matter, as well to any scientist wishing to familiarize themselves with this important branch of physics. I fondly remember a few of the problems in this book from being a student in Professor Vekstein’s Physics of Continuous Media class at Novosibirsk University some 30 years ago. Vekstein is a brilliant scientist with a strong international reputation. His book is highly recommended and fills a unique niche. It will be invaluable to final year physics and applied mathematics undergraduates, together with masters and PhD students, by complementing the standard textbooks on electromagnetism, fluid dynamics and MHD. Drawing on his long experience of superb teaching of these subjects at a high level, Vekstein has compiled an intriguing set of problems in these areas that reveal common themes often missing from the standard texts. He also masterfully guides the reader through the complexities of their solutions. Classical physics constitutes a major cornerstone in the foundation of contemporary science. There are several well-known textbooks presenting the theoretical background, but much less handbooks providing practical exercises which are indispensable for the learning process. This book written by Grigory Vekstein provides readers with a unique opportunity of studying the fundamentals of classical physics "hands on," by doing some important and original exercises following the detailed, extended comments. Thanks to the pedagogical talent and experience of the author, readers have an opportunity to grasp all basic elements of mechanics of fluids and solids as well as electrodynamics in one nicely composed and relatively compact book.